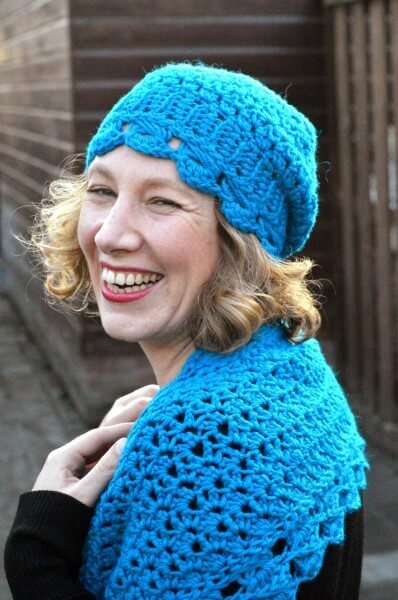 The Zoel Hat & Scarf set contains patterns for a matching hat and scarf. Both knit with a very soft and delicate lace weight mohair yarn. Great patterns to learn some basics of lace knitting or to get familiar with using this type of yarn. Because of the simple two-row lace, these patterns not only let the yarn shine, but also make for a wonderful portable project. For pattern details on the Zoel Hat, click here, for details on the Zoel scarf, click here.